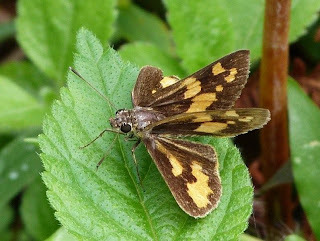 Next off is the Hesperiidae, or skipper family. 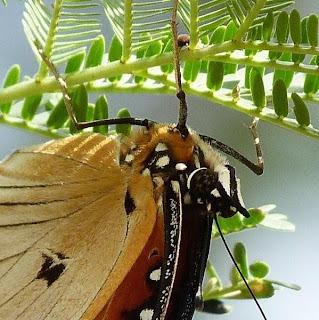 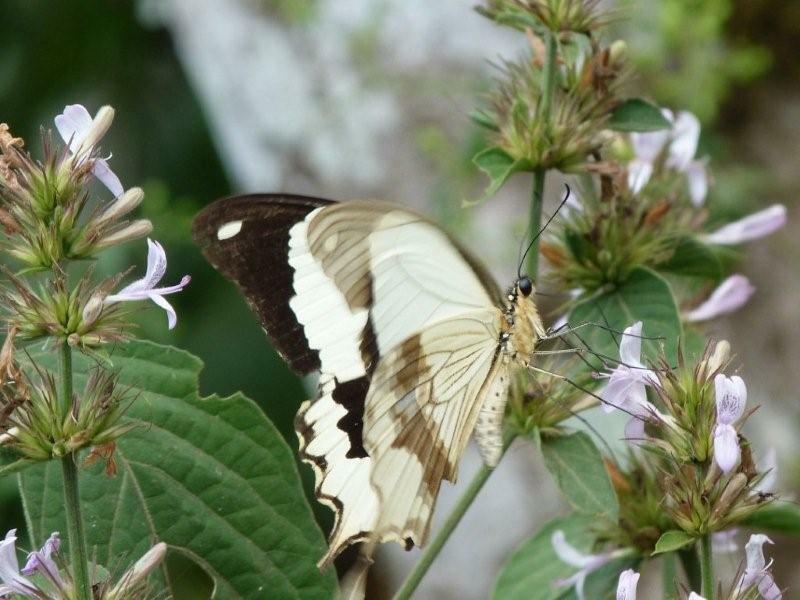 If the swallowtails are the birds of paradise of the butterfly world, this family are the little brown jobs... They are a really big group and readily identified: all have curved antennae, instead of straight-ended clubs in all other families. They're usually small winged and big bodied, looking rather more like moths than other butterflies, and they're pretty unusual too in the way their wings are held, often folded in strange ways when resting. A hugely diverse family, many of these skippers are highly host-plant specific and often show strong evidence for co-evolution with their hosts. Then we're into the whites, or family Pieridae. 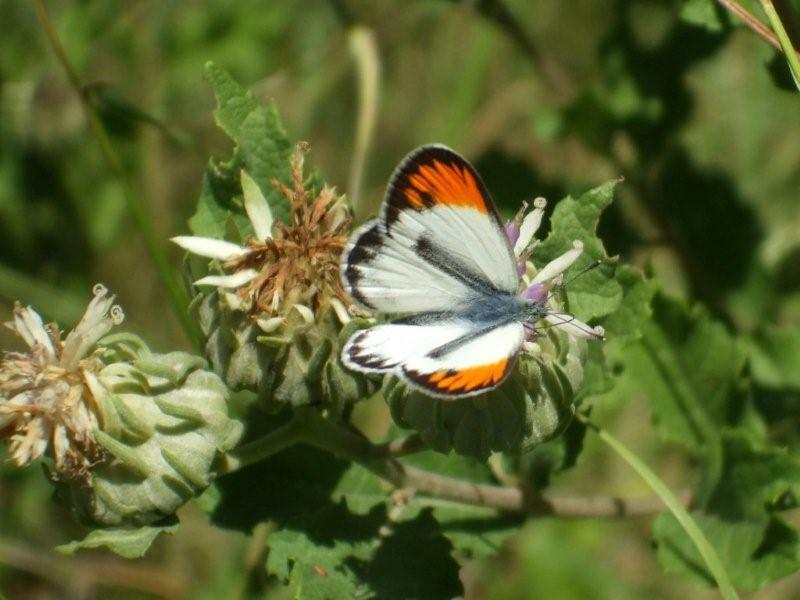 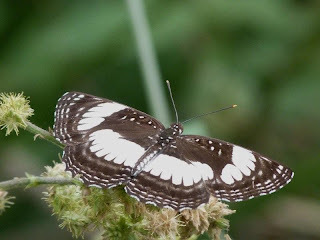 As the common name suggests, this is the group that contains most of those very obvious white butterflies that are major agricultural pests, and that here in East Africa form the huge eruptions involving many millions of animals from time to time, like the one in February that everyone here helped document. 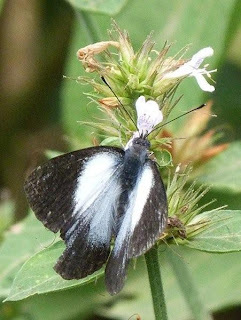 However, they're not all white and not all white butterflies are, in fact, Pierids, so to separate them from the other groups it's easy to see they're not skippers and then look at the legs. All six should be normal length and, if you look really closely at the feet, the final claw is split into two (though most of the time it's enough to see that all the legs are long). 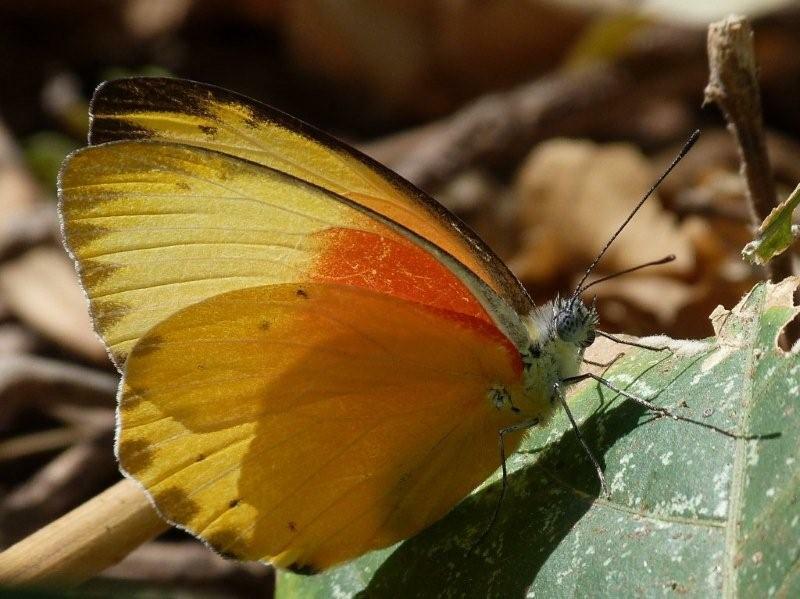 As well as their major importance as agricultural pests and the phenomenal movements we get around here, it's interesting to note that whilst they are all basically pale coloured, some genera - such as Colias - have patterns only visible to us under UV light, reminding us that many insects have the ability to see UV. Not all whites are white! 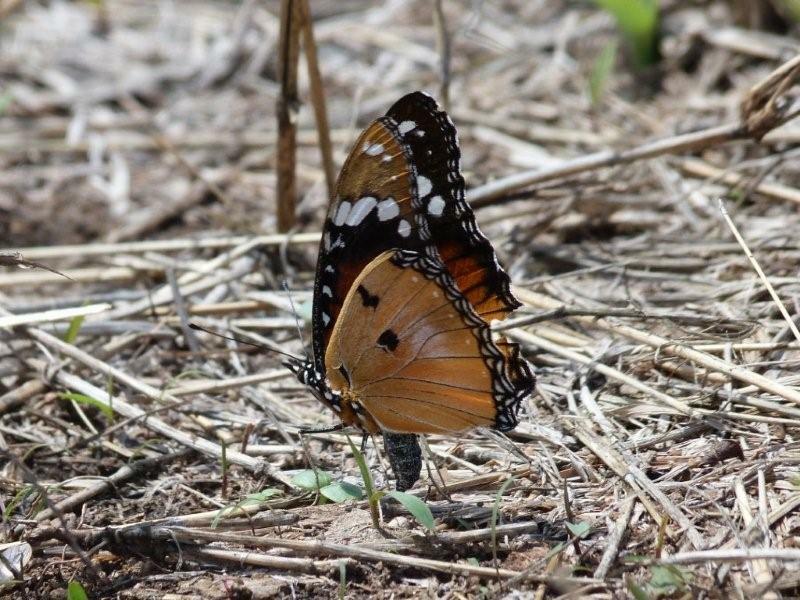 like this African Monarch only have four big legs. 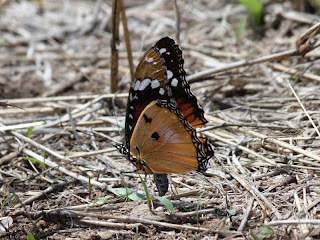 African Monarch Danaus chryippus. Check the diadem below! 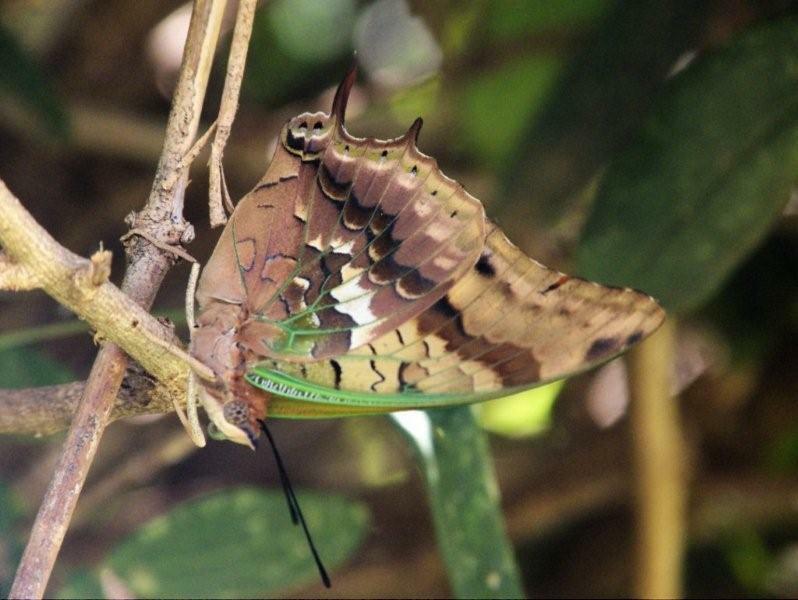 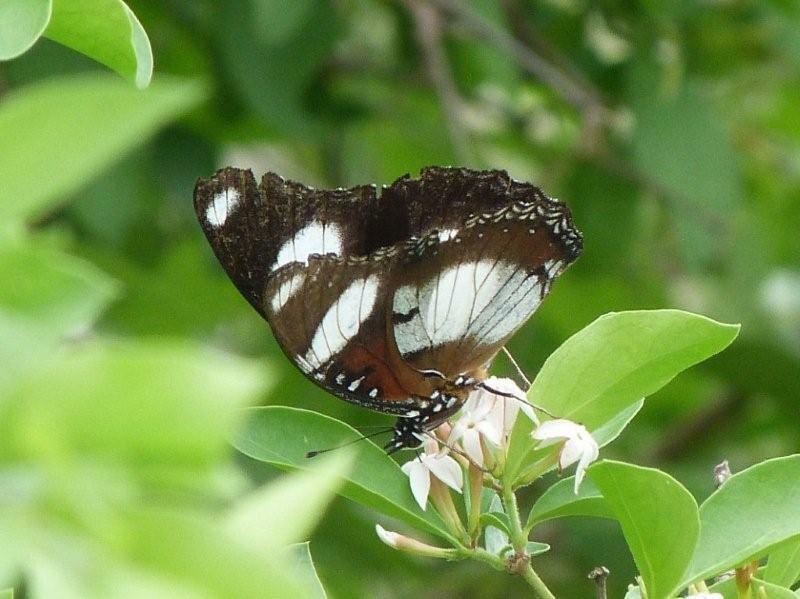 The final family is a monster group called the Brush-footed butterflies, the Nymphalidae. 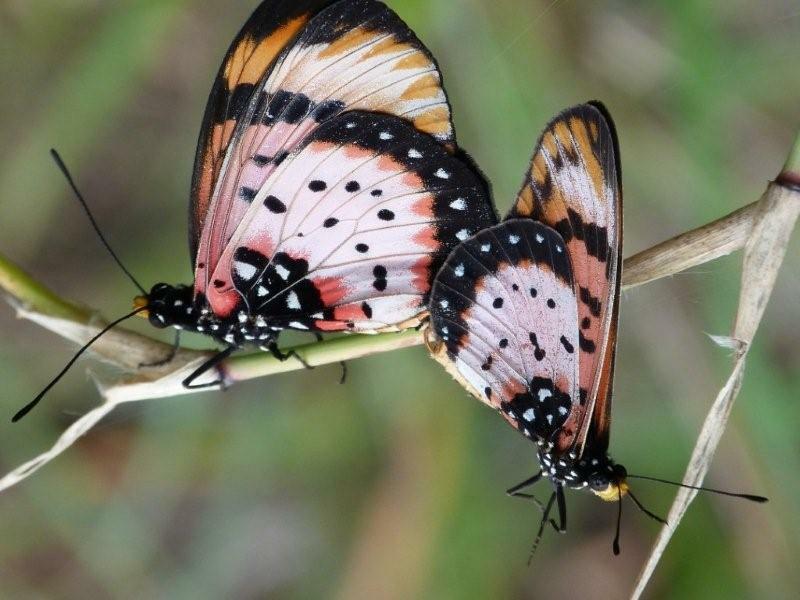 This family all has a much shorter front pair of legs, making them easily identifiable as a group. However, there are so many, and so many interesting members of this family, that we normally separate them into a number of different subfamilies which is where we'll look at some detail. First up, subfamily Danainae, the Milkweed butterflies. 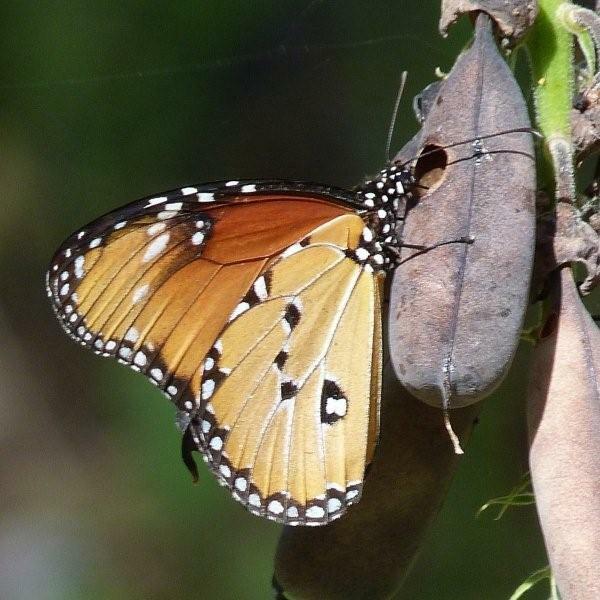 Not a big group, these are the large, brightly coloured and toxic Monarchs. 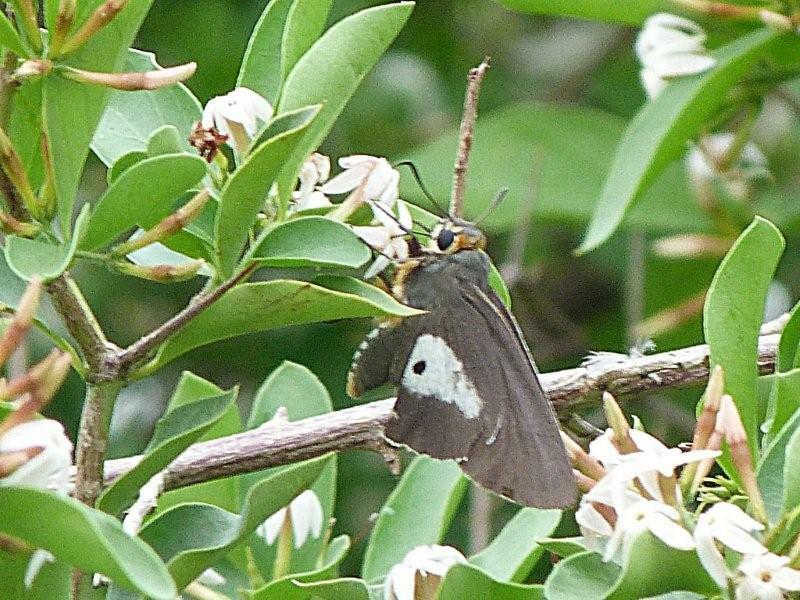 As the common name suggests, the larvae all feed on the milkweed family, a toxic plant group, which makes the caterpillars and then adult animals toxic to most birds. They would be very easy to identify, as obviously orange, black and white - if it weren't for the fact that other species have evolved almost identical patterns to gain protection from predators! two tails, four legs and well marked underwings. Danaids form a group with two other common subfamilies we get out here: Charaxinae and Satyrinae. The Charaxes or Emperor butterflies usually have two tails and typically fly very fast - some have been clocked at over 40kmh in still air! 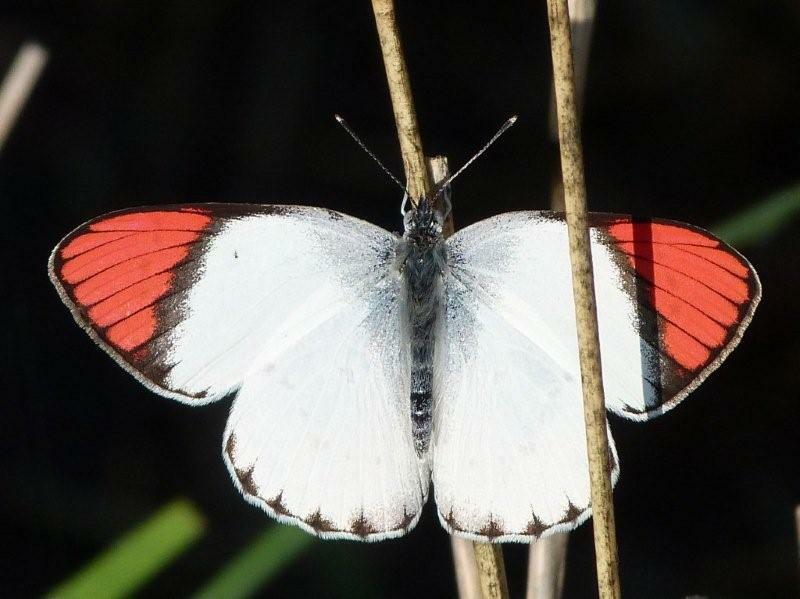 Most are fairly strongly marked on the underwing, and they can be rather large. 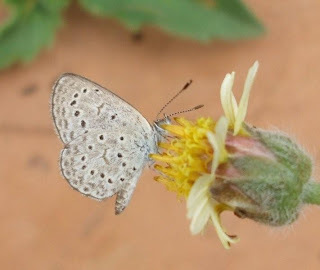 The caterpillars are easy to identify, as they all have flattened heads and strange horns, for the adults a combination of tails and much reduced first pair of legs is usually good enough. 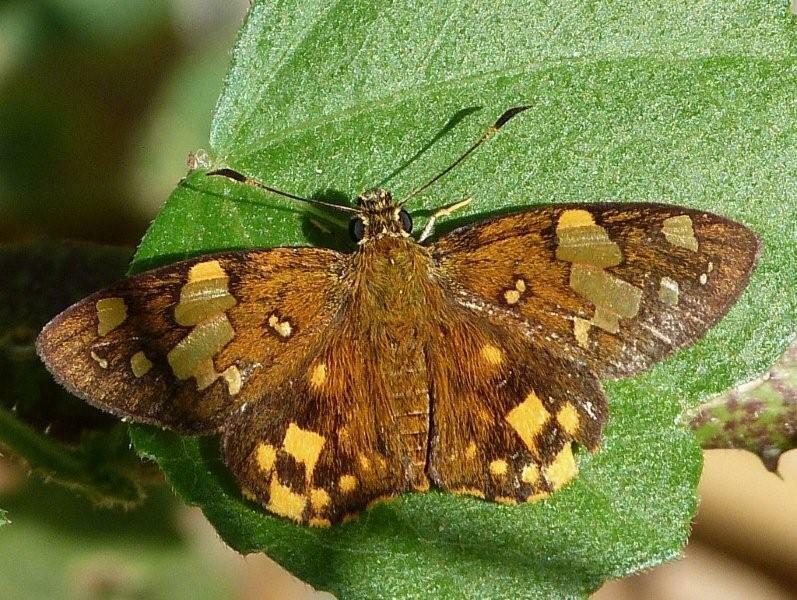 The satyrs or browns are anther big group. 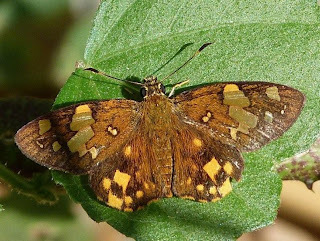 However, they're usually easy to overlook, sine they're mostly rather non-descript brownish species, ad the best things to look for are the eye spots - usually several. 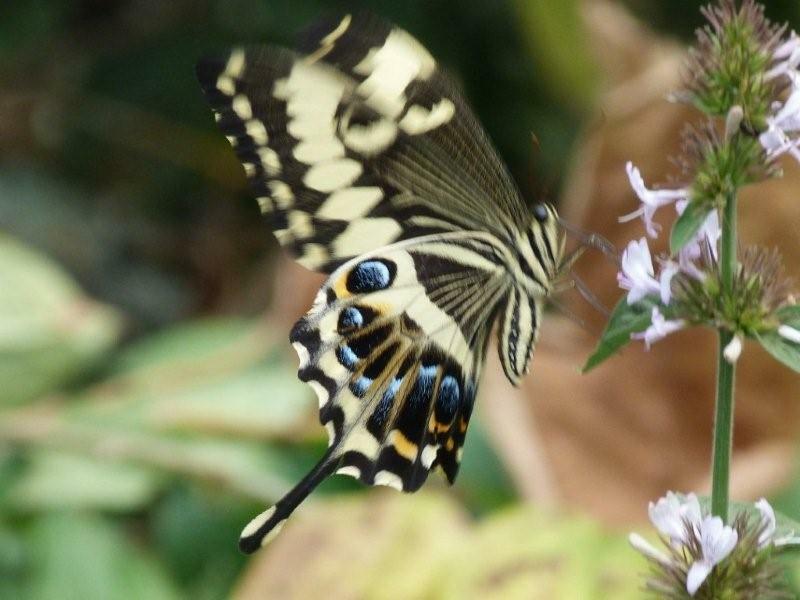 And when you look close up, these butterflies are really rather pretty too! 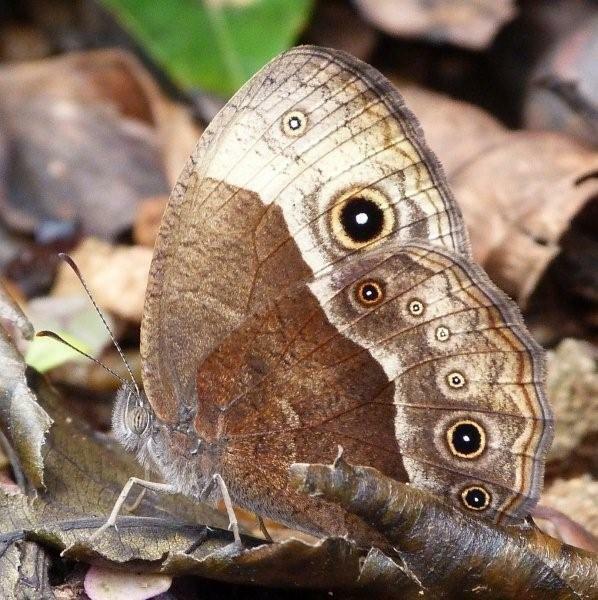 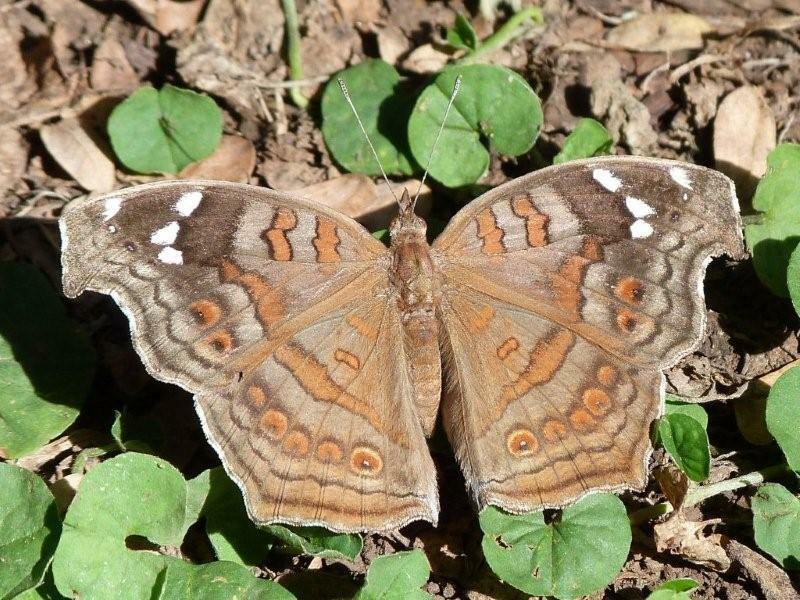 Bicyclus campinus is a typical Satyr: brown with lots of eye spots. 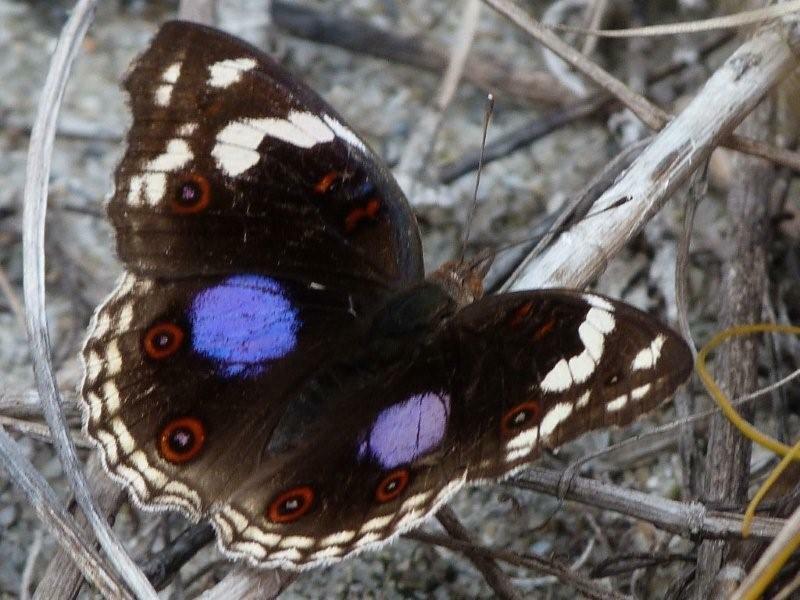 Neptis serena, the Serene Sailor is typical of the genus. 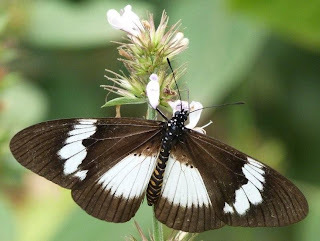 Subfamily Limenitidinae is commonly called the admiral family, but that's rather confusing here, since the African Admirals belong to a different subfamily all together. 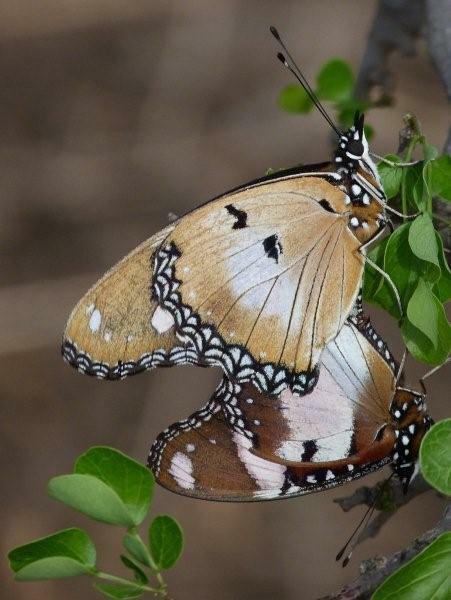 The guineafowl butterfly is probably the most often noticed species in this subfamily, but I've not got a picture! 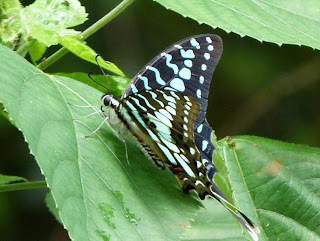 There are some really beauties here though, including the fabulous forester species, which are relatively common, particularly in coastal forests. 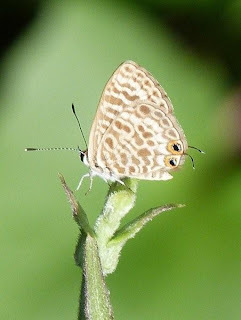 And look around elsewhere and you'll soon start to notice sailors too - very territorial species that often perch on top of vegetation then sail about in loop before coming back to the same spot. 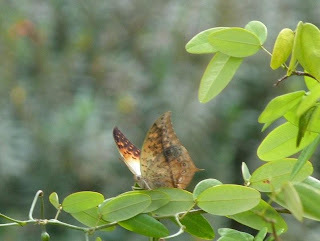 been split from Acraea and shows the typical long wings. 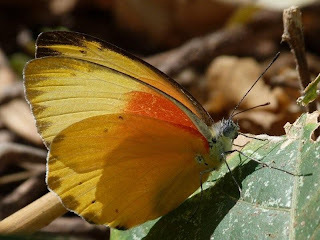 Then comes the Heliconiinae or Longwings, which is actually a pretty good name for what is a mainly tropical family - they all look rather long and thin-winged, though they come in a huge range of colours. 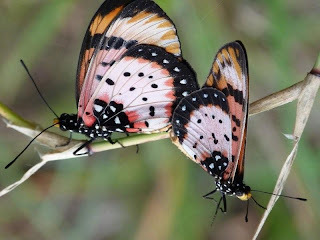 There's a beautiful one in in my garden here with black, yellow and orange wings that never stops for a photo, but the commonest group you'll see are the Acraea. This 'genus' is about to be split into lots of differet groups as it's recognised that they're not all similar at all, but for now it's pretty easy. 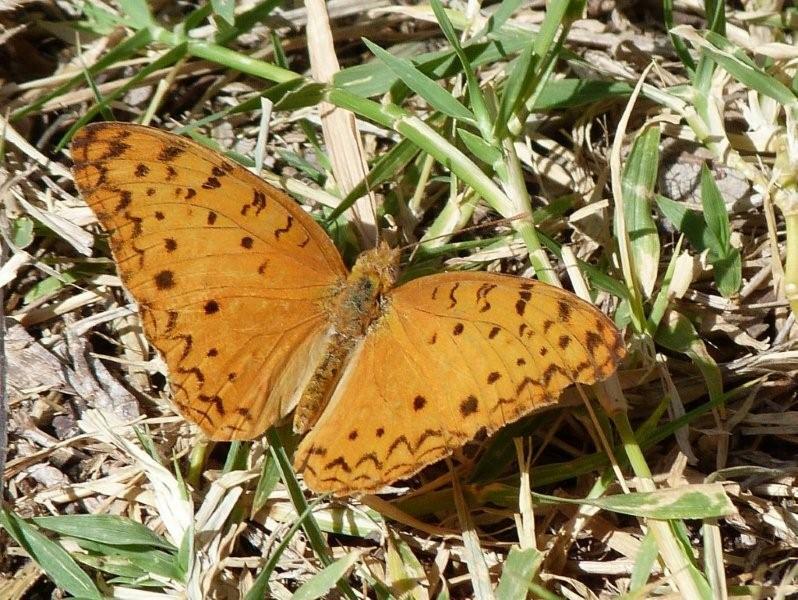 Also in this group are some of the African fritillaries. 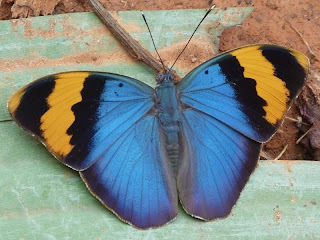 Strangely, what's one of the most obvious and prettiest of the subfamilies, the Nymphalinae, doesn't seem to have a commonly used English name at all. 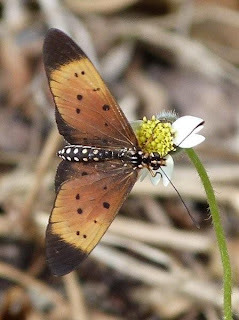 But it's one you'll certainly be familiar with, as it includes the pansies that are everywhere in the savanna and the Diadem (also called the mimic or the Danaid Eggfly) that I hope everyone knows because the female is a near perfect mimic of the African monarch. 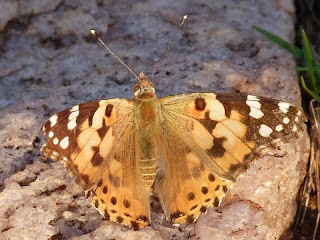 It also includes some of the butterflies that do true migrations (not just eruptions, but regular 'there and back again' trips, such as the painted lady, and our African admirals. 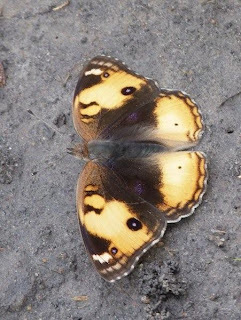 This group is one that I tend to identify mainly because they're obviously Nymphalids (with only four long legs), but not fitting any of the other subfamilies! 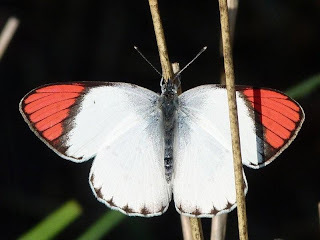 Though as there are a number of other, much smaller subfamilies I'm not listing at all, that's probably not the best way to go about things and if anyone has any better advice, please let me know! Female Diadem laying eggs - compare spots with Monarch! Male Diadem Hypolimnus misippus: completely different to female! Zezeeria knysna, the African Grass Blue is actually tiny! Oh, and if you got this far you're obviously as fascinated as me by invertebrates, so if you're in Arusha come to talk at the Coffee Lodge on Monday night, 18th June, on Ants, by Dr. Kate Parr. 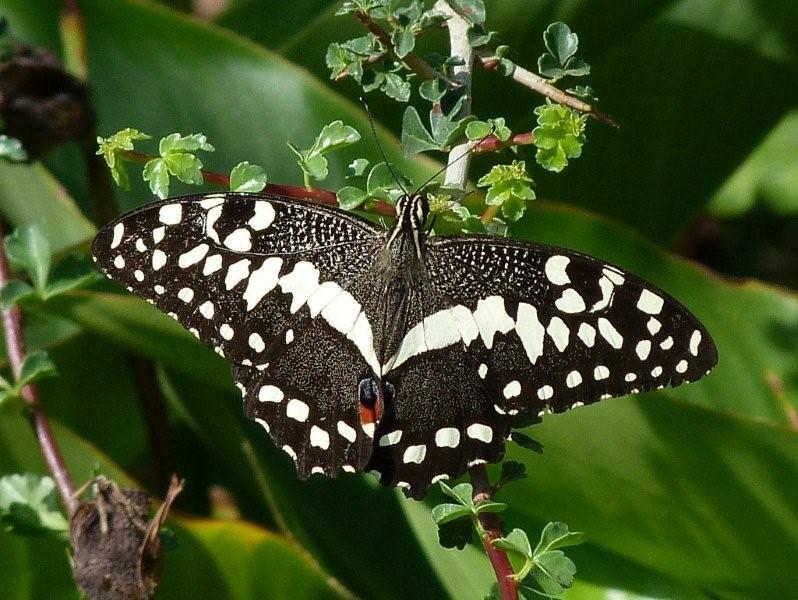 It's going to be great and the first in a series organised the the newly formed Society for Interpretive Guides. Hurrah!